Finally, your best personal branding and headshot images...ever. It's not just a headshot...it's the face of your business. Make your first impression count. As a business owner or executive AND a consumer, you know how important first impressions are. Most people will decide within the first few seconds on your website whether or not you can solve their problem...which means whether or not they will hire you. WHAT STORY IS YOUR online presence TELLING ABOUT YOUR BRAND? Entice your potential clients with stellar storytelling images. People want to do business with those they know, like and trust. Help your clients get to know you by SHOWING, not telling, them how you can serve them...so they will HIRE YOU. ...a Houston-based personal branding portrait photographer. I help entrepreneurs and executives create a strategic and powerful visual brand presence with up-leveled headshots and custom personal branding images. I believe your best marketing strategy is...YOU. But a singe headshot isn't enough to stand out in a crowded marketplace. That's why I offer my clients an entire portfolio of branded images for content generation on social media, web sites, email marketing, and much more...all tailored to get you noticed and hired. ...all perfectly aligned with your brand statement to cut through the clutter and speak directly to your ideal client. 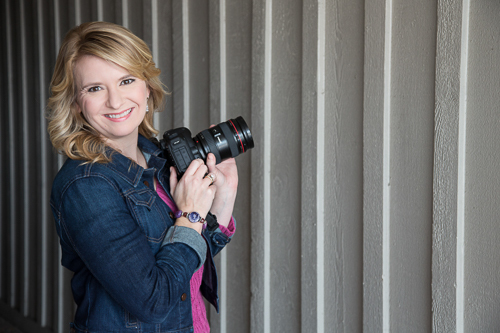 With more than eight years of experience in making my clients look AMAZING in their photographs, I have the know-how and skill to help you create your best photographs ever. I work individually with each client to help you understand your audience and gain clarity on your branding objectives. We then work together to translate that learning into images that separate you from the crowd and get you hired. Your photographs will reflect exactly who YOU are...not the same pose that 50 people before you have done. Every aspect of your shoot is customized, from your wardrobe to props to location choices.